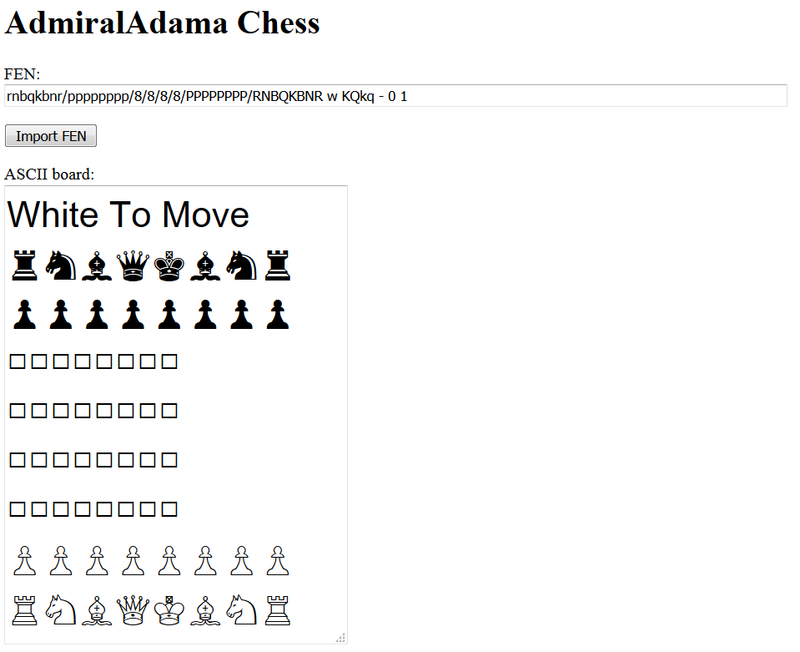 I have been really into chess lately so I decided to program the game in PHP for practice. I want to get more comfortable with classes. I decided to create 2 classes: ChessGame and ChessPiece. I experimented with making classes like Bishop, Knight, etc. that extended ChessPiece, but it ended up being messy so I deleted them. I'm looking for feedback on how I structured the classes, and feedback on how I should structure classes that I add later. For example, I am going to make the game playable, so I need to program in all the piece movement rules somewhere. Should that get its own class? Should I program that all into ChessGame? Can I program the movement rules into a class for each piece instead, without making my code hard to read and disorganized? Also, feel free to suggest any other tips you might have to make my code better organized and more readable. // "Full move counter is common in chess books where the games start from a diagram." Browse other questions tagged php chess or ask your own question.